Ms. Alma Elizabeth Canady, age 91, of Macclenny, Florida passed away, Tuesday, January 22 at her home following a long illness. Ms. Canady was born in Macclenny, Florida to the late Charney and Lear Crews Garrett. She lived for over 50 years in Jacksonville, Florida and moved back to Baker County, Florida to retire over 25 years ago. Ms. Canady was of the Baptist faith and loved her family and friends. She was a housewife most of her life and enjoyed holidays, family reunions, gardening and will be remembered as a great neighbor. Ms. Canady is preceded in death by her late husband, Eddie B. Canady, Jr., her parents, one son, Eddie B. Canady, III, one daughter, Elaine Haines and one brother, Travis Garrett. 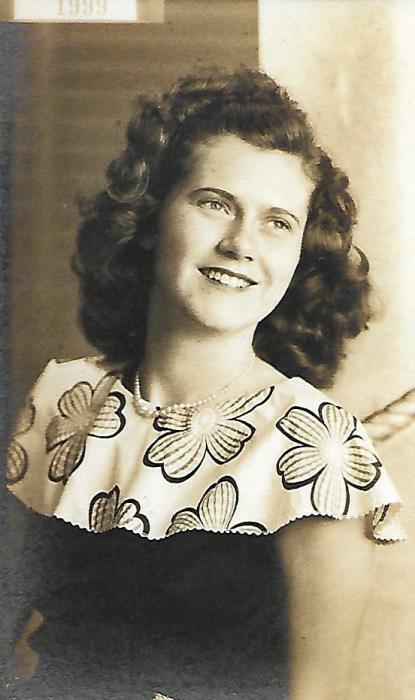 She is survived by one daughter, Linda Canady of Jacksonville, Florida: two sons, Gerald Altman (Marilyn) of Macclenny, Florida and Marvin Altman (Angela) of Orange Park, Florida: one son in law, Bill Haines of McDonough, Georgia: four grandchildren, Althea Paul, Alaree Pruitt, Stephen Altman and Allen Altman: one great grandchild and two nieces, Teressa Bell and Sandy Morgan also survive. Funeral services to honor the life of Ms. Canady will be held at 12 P.M., Friday, January 25 in the Chapel of Guerry Funeral Home with Rev. Johnie Hobbs officiating. Visitation and gathering with the family will be from 11 to 12 P.M. (one hour before services). Interment will follow the funeral services in Macedonia Cemetery. Please sign the online guestbook at www.guerryfuneralhome.net Guerry Funeral Home, U.S. 90 E., Macclenny, Florida is in charge of arrangments.